MANILA, Philippines — State-run Government Service Insurance System (GSIS) recently secured a certification from the International Organization for Standardization for meeting the international standards on the quality management system (QMS) of its major processes. In a statement, GSIS president and general manager Jesus Clint Aranas said the state fund was conferred an ISO 9001:2015 certification for its QMS on loans processing, membership administration, maturity claims processing, motor vehicle claims processing and related critical support processes. “Public servants deserve world-class service whenever they transact at our office. I am very fortunate because the men and women of GSIS have always imbibed the heart for excellence. Mediocrity has no place in government,” Aranas said. GSIS’ quality management system for loans and maturity claims processing covers the application up to the release of proceeds to the borrower or claimant. For motor vehicle claims, it covers the process starting from the application to the issuance of letter of authority. In terms of membership administration, the QMS begins from the creation to the updating of all active members’ and pensioners’ records. Aranas said the GSIS also aims to secure an ISO certification for other loan processing systems. “We are now poised to expand the scope of our ISO certification to include our funeral benefit claims processing and marketing of non-life insurance processes. We are also eyeing the Information Security Management System certification for membership,” Aranas said. GSIS was conferred its first certification under the ISO 9001:2008 for loans processing in 2015. The following year, GSIS received the updated version, ISO 9001:2015, for loans processing and expanded its scope to include membership administration. 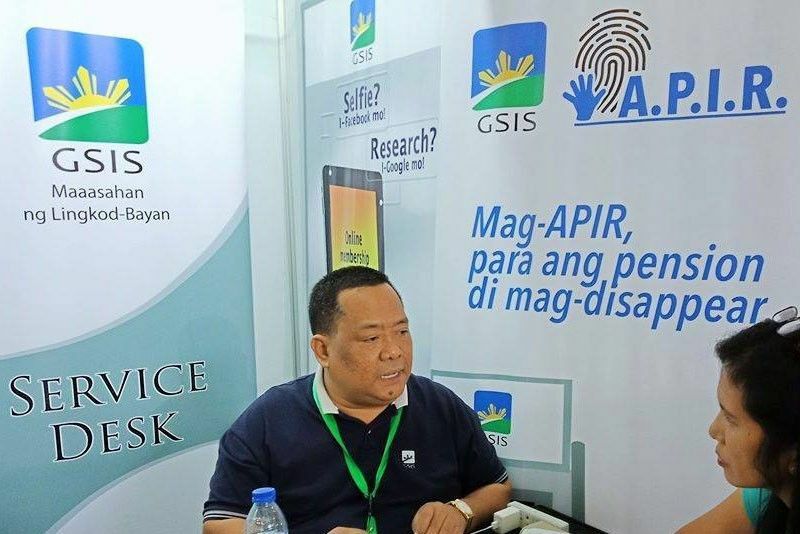 GSIS is a social insurance institution that provides insurance and loan products to government workers. In 2017, the GSIS reported a net income of P94.7 billion, 69 percent higher than the P56.1 billion it booked the previous year. This was driven by the fund’s income from financial assets.